This article covers the subject of managing multiple sites on WordPress, using WordPress Multisite and ManageWP panel. WordPress Multisite gives a very good solution for business people who wish to run a Multisite network like the ones on WordPress.com. The ManageWP panel is for people who are site owners and want a simple way to manage their sites. If you are already pretty technologically well informed then WordPress Multisite is the one for you. This is because you will have to set up sub domains and make edits to your wp-config file. You will have to learn about domain mapping too if you wish to allow your site owner to have their own domains. ManageWP is for business people who are looking for a simple method to manage their websites, which means there is no need to set up a network. There is neither wp-config editing nor any need to learn domain mapping. This is the choice for people who are not technologically well informed, or who want an easier life. You are likely to come across multiple issues when installing themes and plugins when using WordPress Multisite. This is because every site and database is going to be different, which means that installation is not going to be a straight forwards as one has come to expect from WordPress. Caching plugins is problem when it comes to Multisite, which is going to bother the people who are looking for quicker loading times. ManageWP is free from such problems because it is a standalone website manager that has its own database. You are able to install any of the WordPress plugins that you wish. This also means that you have a lot more flexibility when it comes to your plugins and their upgrades. Even if one of your sites has a compatibility issue with a plugin upgrade, you can still upgrade all of your other sites. Core updates involves updating all of your installations in one go (ideally). If you are updating the core of your WordPress Multisite Installation, you will have to update your entire network. The trouble is that you may be running various sites for your clients, and those sites may have compatibility issues with your newest WordPress version. So you will have to fix those compatibility issues before you are able to update all of your other websites. Using ManageWP you are able to update all of your installations on WordPress at the same time. You may also partake of uptime monitoring, SEO monitoring, bulk posting, integrated Google analytics, automated backups and bulk user management. 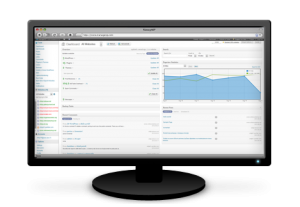 You can manage your Multisite network using ManageWP. First you need to network activate the plugin for ManageWP worker. This can be done via your network admin. You should add your main site to ManageWP, at which point you will be asked which sites you’d like to import to ManageWP. All you need to do it add your site to ManageWP in the same way that you would add one of your normal sites. Install the ManageWP worker plugin to your network admin then activate. When you have installed the ManageWP worker plugin and you have added your main site, you will be prompted and asked if you have sites that you’d like to import. All you need to do is select all of the sites you want to import and they are added. They will be added onto the ManageWP as if there were singular installations. There is WP Remote, which offers a free and simple solution for doing tasks involving multiple WordPress websites. You will not have to install this plugin for every WordPress installation; just put it on the administration panel for managing your site in one central location. With this tool you can create off-site backups, update your WordPress installations in bulk, update plugins via the WordPress plugin page, and update themes via the WordPress themes page. InfiniteWP is a plugin that is free but you have to pay for the extra features. The free version will allow you to install and manage themes and plugins, with a one-click update to a more recent WordPress, restore, delete and download backup copies. If you fancy going for some of the paid functions too you will be able to install WordPress, back up to your repositories, clone WordPress installations, schedule automated backups, manage WordPress uses, brand your plugin with your company brand, and run and save customized PHP code on multiple websites. With the paid functions you will notice that they may be integrated with Google Analytics, that you can create pages, links and posts, and that you can manage your posts and your comments across multiple sites. Korah Morrison, writer on essay writing services that help students to write essays of any complexity. She writes about seo, blogging, social media, internet marketing and other tips.